A rider himself, attorney T. Scott Jones knows a thing or two about motorcycles. Often racing at speeds of up to 200 miles per hour, he knows the importance of focus and precision. At Banks and Jones, our lawyers bring the same attentiveness, fearlessness and drive to defending the rights of motorcycle accident victims. Furthermore, we understand the joys and dangers of riding in a way that most injury law firms do not. If you or your loved one has suffered an injury in a motorcycle crash, our attorneys are here to help. We review the circumstances of your accident, collect evidence, help you determine who is responsible for causing you harm and take aggressive action to secure the compensation you deserve. Riding a motorcycle is certainly thrilling — but it can also be dangerous because motorcycles provide riders with little protection. There were 134 fatal motorcycle crashes in our state last year. Limited visibility. Since motorcycles are small and less noticeable than other vehicles on the road, they can sometimes be difficult to spot until it’s too late. If you ride at night, make certain that your headlights work so that you are visible to other motorists. Rear end crashes. If a passenger car or truck rear-ends a motorcycle, the motorcyclist could be thrown from the bike and instantly killed or severely injured. Similar results could occur if a motorcyclist rear-ends another vehicle. Car doors. People in cars throw their doors open whenever they feel like, have you noticed? That often includes opening doors right into traffic. Blind corners and turns. Turning is dangerous enough for riders when there are no cars involved, but even more dangerous when they’re sharing the road. You can easily fall into a driver’s blind spot when you’re coming around a corner – or when the driver is. Roadway debris. Broken tree limbs, wet leaves, gravel pits, fallen truck cargo: road debris makes a weekend drive the equivalent to an obstacle course. Under certain circumstances, you may be able to file a claim against the local or state government if the roadways are decrepit and/or dangerous, and there was no warning for riders or drivers. Drunk drivers. Even though people know driving after drinking is illegal and dangerous, they do it anyway. A drunk or otherwise intoxicated driver has slow reflexes and poor judgment, and motorcycle riders can pay the price. Distracted driving. Texting, playing the with radio, checking the GPS, personal grooming – people do a lot of things behind the wheel that don’t have anything to do with driving. When you’re on your bike, you don’t have nearly enough protection to keep you safe from a distracted driver barreling towards you. Speeding and reckless driving. An aggressive driver is a dangerous driver – period. Cars that tailgate you, or chase after you, or swerve in and out of lanes are a menace, and they can cause catastrophic injuries to riders. Even a single-rider crash can lead to broken bones and head injuries. A collision with a car – or, even worse, a commercial truck – can lead to catastrophic injuries like permanent brain damage, spinal cord damage or disfigurement. Under the most tragic circumstances, you or your loved one could die. We hear a lot of the same questions from our clients when it comes to Tennessee’s laws for riders. We thought it might be best to simply address them here, so you know before you ride. You can read the laws in full here, as well. Q: Is lane splitting legal? A: Not in Tennessee, it’s not. Under TN Code § 55-8-182 (2016), “No person shall operate a motorcycle between lanes of traffic or between adjacent lines or rows of vehicles.” Law enforcement, however, IS allowed to split lanes if they are in the course of their duties. Q: Do I have to wear a motorcycle helmet in Tennessee? Q: What types of safety equipment do I need on my motorcycle? A: You’ll need a windshield (or else you must wear safety goggles when you ride). Your bike also must have at least one red stop light and one red tail light, rearview mirrors, footrests for you and the passenger, and a muffler (no “straight pipes” allowed in TN). How can a lawyer help you get compensation for your injuries? Regardless of how carefully you observe the speed limits, how carefully you operate your bike, or how much protective gear you wear on every ride, you can’t prevent a careless driver from hitting you. Motorcyclists, due to their lack of protection, are more likely to suffer serious injuries in a crash with a passenger vehicle or a truck. 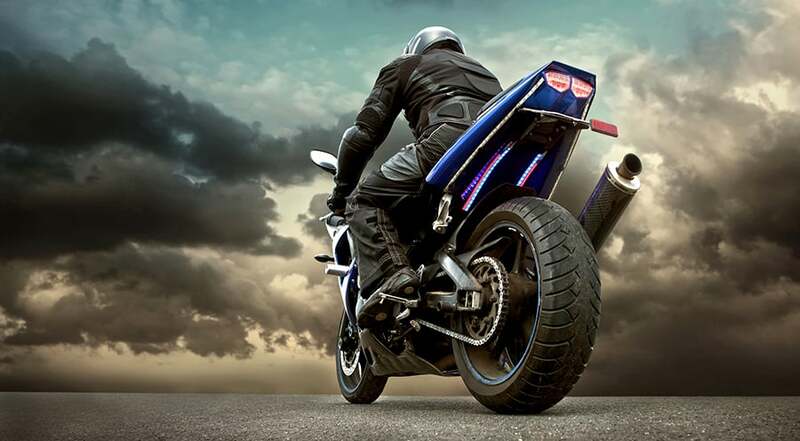 We understand the complexities of motorcycle accident injury cases where many assume that the rider must have some fault in the crash even when they did not. We thoroughly investigate the crash and we hold the negligent parties responsible for your losses. Why do you need an attorney after a motorcycle accident? The laws regarding motorcycles often are extremely confusing, and they differ among the states. Without an attorney on their side to assist them, motorcycle crash victims often make the wrong moves and feel overpowered by the insurance providers and their attorney(s). Insurance providers often employ tactics that force motorcyclists to agree to lower settlement payments than they deserve. 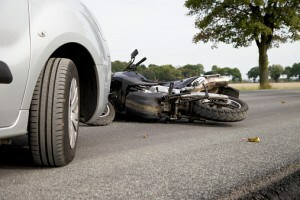 In addition, in nearly every motorcycle wreck case, negligence is the most important factor. According to the concept of contributory negligence, motorcyclists may not recover damages if they were more than fifty percent (50%) responsible for causing the wreck. However, under comparative negligence, the awarding of damages often is based on how responsible for the wreck each party is. Depending on where you were at the time, how you were injured, and what kind of insurance you have, you could find yourself unable to make a claim. That’s why having a motorcycle accident lawyer who not only understands your policy, but also understands what it means to ride, is important. Motorcycle riders must have the right insurance policy since motorcycle insurance statutes differ among the states; the wrong policy limits motorcyclists’ choices following a wreck. For instance, the wrong insurance policy could cause motorcyclists to pay for medical treatment, vehicle repair, etc. out of their own pockets if no one else is legally responsible for the wreck or if the responsible party lacks insurance or assets. Motorcyclists should gather plenty of information pertaining to the wreck as well, if they’re not too injured. Take pictures of the damage to your bike, of the scene and of yourself – especially if you sustained an injury. You should also seek immediate medical treatment even if you don’t “feel” hurt; you could have injuries they are unaware of. 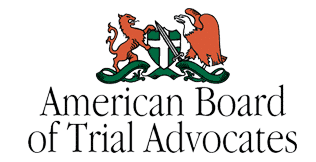 Medical treatment leads to medical records, which enable insurance agents, courts, and others to fully understand the motorcyclists’ injuries. Nevertheless, improper, inaccurate, and/or incomplete medical records often lead to case settlements that favor the other party and cause the injured to make out-of-pocket payments when the other party is actually responsible for the wreck. Rarely does anyone suffer only a minor injury in a motorcycle accident. If you have sustained a serious head, neck, back or other bodily injury in motorcycle collision, our legal team at Banks and Jones is here to offer sound guidance at every turn. To find out more about how our experienced Knoxville motorcycle injury attorneys can help you, call 865-407-2122 or fill out our contact form.